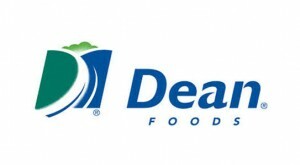 Dean Foods was interested in exploring options to differentiate and insulate their business from Private Label. One area being investigated was the development of a new ‘game changing’ gallon milk jug that would enhance the consumer experience, differentiate Dean’s brands and help drive premium pricing. A total of 11 innovative designs were created and feedback was needed on each design prior to quantitative research. As a preliminary step before further quantitative testing, a total of six geographically dispersed focus groups were conducted to identify the relative appeal of each prototype and opportunities for enhancement. Focus groups were used as this methodology provided the ideal opportunity to obtain constructive feedback on multiple prototypes including areas of liking, disliking and opportunities for improvement. Through the research three viable alternatives were recommended for further development and testing. To help communicate the uniqueness of these designs a video report was created to help internal constituents and key customers understand the perceived benefits of each package and create excitement for the new packaging direction.